Another Black Friday has come and gone. There were crazy-good discounts, 12am start times, mile-long lines and a few violent incidents to boot. Now that all the dust--and buyers euphoria--has cleared see how the country fared on the year's biggest shopping day, by the numbers. 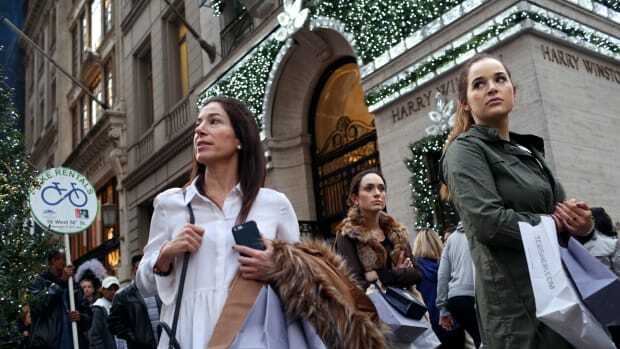 $11.4 billion: Total money spent by shoppers at retail stores and malls on Black Friday, according to the AP. $52.4 billion: Total money spent by shoppers over the Black Friday weekend, according to the National Retail Fund. 226 million: Record-breaking number of shoppers who visited retailers or shopped online over the weekend, reported by the NRF. 90: The percentage of shoppers who, according to a survey conducted by the International Council of Shopping Centers, planned to buy items for themselves or their families, compared to 10 percent of shoppers who said they planned on buying gifts for others. 20: The number shoppers injured after a woman fired pepper spray into a crowd in order to clear a path to a crate of Xbox video game players at the Porter Ranch Walmart in California, according to CBS News. Another Black Friday has come and gone. There were crazy-good discounts, 12am start times, mile-long lines and a few violent incidents to boot. Now that all the dust--and buyers euphoria--has cleared, see how the country fared on the year&apos;s biggest shopping day, by the numbers. 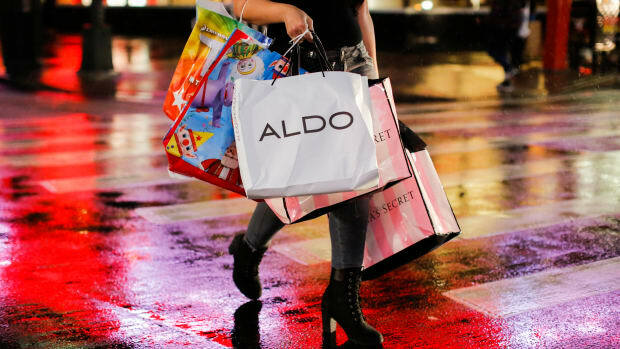 $11.4 billion: Total money spent by shoppers at retail stores and malls on Black Friday, according to the AP. $52.4 billion: Total money spent by shoppers over the Black Friday weekend, according to the National Retail Fund. 226 million: Record-breaking number of shoppers who visited retailers or shopped online over the weekend, reported by the NRF. 90: The percentage of shoppers who, according to a survey conducted by the International Council of Shopping Centers, planned to buy items for themselves or their families, compared to 10 percent of shoppers who said they planned on buying gifts for others. 20: The number of shoppers injured after a woman fired pepper spray into a crowd in order to clear a path to a crate of Xbox video game players at the Porter Ranch Walmart in California, according to CBS News. $398.62: Average money spent per customer, reported by the NRF. $15,000: Estimated amount of debt for the average American household, according to Capital Insider. 12AM: The time when Target, Best Buy, Macy&apos;s and Kohl&apos;s opened their doors on Black Friday, earlier than ever before. 200,000: Number of signatures an online petition garnered, urging Target to let their employees spend Thanksgiving Day dinner with their families, not their employer. 1:15AM: The time when dozens of rabid bargain hunters stormed the Soho Hollister store, breaking through the door and looting armfuls of clothing, reports the New York Post. Apparently, they had begun lining up outside the store hours earlier, not realizing that this particular location wasn&apos;t opening until the next day--and clearly they were not pleased by the miscommunication. Two: The number of suspects still being sought after gunfire erupted at a shopping center in Fayetteville, North Carolina. There were luckily no injuries, reports the BBC. One: The number of stabbing victims. A man was stabbed after a fight broke out in front of a Macy’s department store at the Arden Fair Mall, reports the Washington Post. The man was taken to the hospital with non-life-threatening injuries. One: The number of men found dead at a Target in South Charleston. The man collapsed from an apparent heart problem, reports the New York Daily News. Scary: Shoppers ignored the fallen man, even at times stepping over his body. This year, Black Friday is shaping up to be an even bigger shopping extravaganza than ever before. Macy’s, Target, Best Buy and Kohl’s will be opening at midnight instead of the crack of dawn. Toys “R” Us and Wal-Mart are ignoring the whole "Friday" part altogether and opening their doors at 9pm and 10pm (respectively) on Thanksgiving Day. According to a survey conducted by the National Retail Federation, stores and malls can expect up to 10% more shoppers than last year--that's up to 152 million shoppers over the course of the weekend. But while retailers and shoppers are upping the ante this year, some people are beginning to wonder whether, in these tough economic times, shopping on Black Friday is such a smart idea in the first place. Shoppers broke some records last week. And even more people plan to shop Cyber Monday.